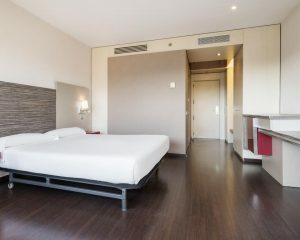 Where to sleep in Barcelona when you travel by wheelchair ? 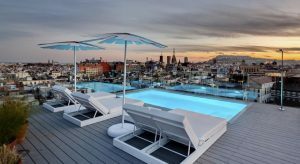 Find here the best wheelchair accessible hotels, apartment or hostel in Barcelona, carefully selected for you. We have personally visited and tested all the wheelchair accessible hotels in Barcelona. The selection is a result of our expertise and experience : measuring entrances, talking to the staff, checking the disabled bathroom with roll in shower, and other facilities such as adjusted closets etc. We have carefully selected our favorites for you. A cosy, wheelchair accessible hostel in Barcelona. Not easy to find but there are accessible hostels in Barcelona. 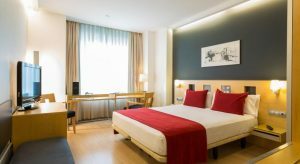 Alberg Pere Tarres is located in a quiet area near Camp Nou and commercial center Illa Diagonal. It has a good access to the wheelchair accessible buses of Barcelona and has very clean facilities. This hostel is a good and affordable accommodation option for those traveling to Barcelona by wheelchair. Ayre Caspe is a more traditional hotel but very decent and friendly staff. They are experienced in receiving disabled clients with reduced mobility. Prices are often democratic (for Barcelona). The location is good, it is on walking distance to the old town with El Borne and the beautiful Arc de Triomph. Possible to stay over with 3 guests in 1 disabled room. A beautiful hotel close to El Borne in the Old Town and Arc de Triomph. The hotel has only been opened just recently. It is a refreshing type of accessible accommodation in Barcelona. Casa Bonay is classy and trendy at the same time. The restaurant area is stylish and cosy, the coffee and food is great. And they have delicious cocktails! 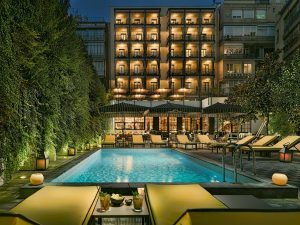 A luxurious, wheelchair accessible hotel in the center of Barcelona. The perfect option for guests looking for comfortable wheelchair accessible hotels in Barcelona. The H10 Metropolitan is very centrally located. Close to Pl. Catalunya, but on the beautiful Rambla de Catalunya. Comfortable, stylish interior. One of the best wheelchair accessible hotels in Barcelona. With Christmas they have a wonderful Christmas tree. In general they have cosy corners everywhere. Accessible outdoor swimming pool with hoist for disabled guests. This beautiful hotel is part of the hotel chain Ilunion. All the Ilunion hotels focus on and are specialized in receiving guests with any kind of disability. The facilities are therefore all adapted. 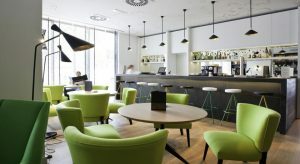 Hotel Ilunion Barcelona is absolutely great in terms of wheelchair accessible accommodation, location and service level. The area Poblenou is a quiet district in Barcelona, close to the beach, with a beautiful Rambla. There is a great Italian restaurant opposite, where you can have lunch or dinner. The quality of Ilunion hotels can differ quite a bit and really depends on each individual hotel, but we do love this one! Do you want to stay in a beautiful wheelchair accessible apartment in Barcelona? It's hard to find an accessible apartment for short term rentals, but in MIC Sant Jordi there are 32 luxurious disabled apartments available. You can benefit from an accessible kitchen, beautiful bathroom, disabled swimming pool with hoist etc. There is nursing staff and physiotherapy available upon request. They are located in front of the accessible 3 Torres train station, which is directly connected to the central square Pl. Catalunya. It takes you 10 minutes to get to the center by train. Free use of mobility material such as walking chair, hoist etc. For the best price quote for MIC Sant Jordi, get in touch with us. We have a direct relationship with them and guarantee you have the best price available. 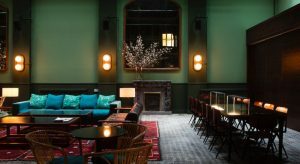 Design hotel in the calm area of Poblenou. Vincci Bit is located near the calm part of Barcelona beach and the shopping center Diagonal Mar. It is located a bit further away from the center in Barcelona. The interior design is what makes the hotel stand out. Comfort and tranquility are the keywords here. They have a nice bar, good food for lunch and dinner. The staff is very professional. 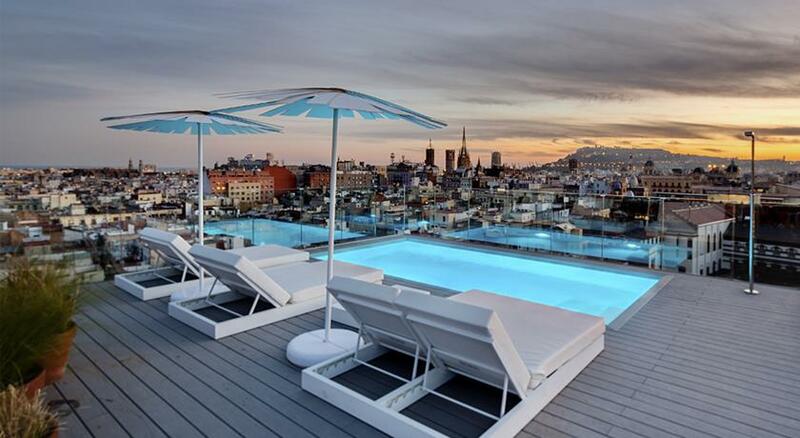 Beautiful design hotel in the center of Barcelona. Probably the prettiest of all wheelchair accessible hotels in Barcelona. The disabled hotel rooms of Hotel Yurbban Trafalgar are quite narrow but it is doable by wheelchair. However the rooms can be tight for disabled travelers with a severe paralysis, needing an electric wheelchair. They have the most beautiful wheelchair accessible rooftop terrace of Barcelona. Great interior design, very cosy and stylish setting. We would immediately move in there! Good food for lunch and dinner. Good central location close to El Borne and Pl. Catalunya, the central square of Barcelona. We hope you find one of these wheelchair accessible hotels in Barcelona a good fit for you. We did put a huge amount of work into researching and compiling this list. We hope it helps you to book a trip to Barcelona and enjoy your stay. The city is very accessible, the sky is blue and we are here in Barcelona to help and assist you during your holiday. We also gladly help you out with booking your accommodation for one of the wheelchair accessible hotels in Barcelona. Our service comes without any extra cost for you. You will be ensured to get the best price quote, the accessible room and have less administration to deal with.